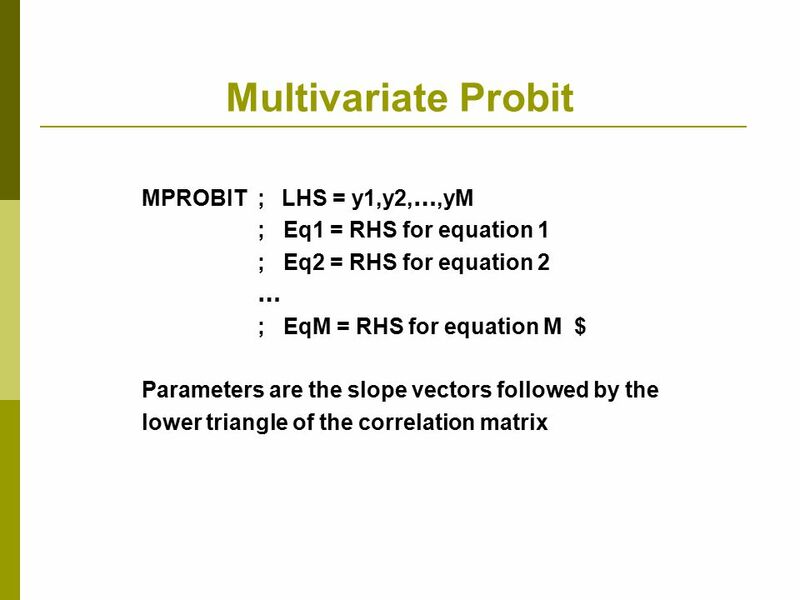 Univariate case: If the variables are the same in x and z, these terms are added. 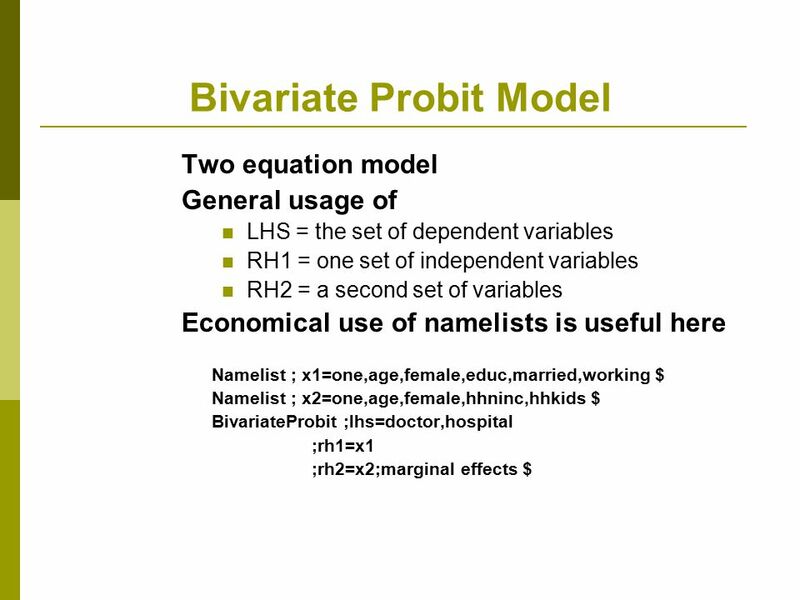 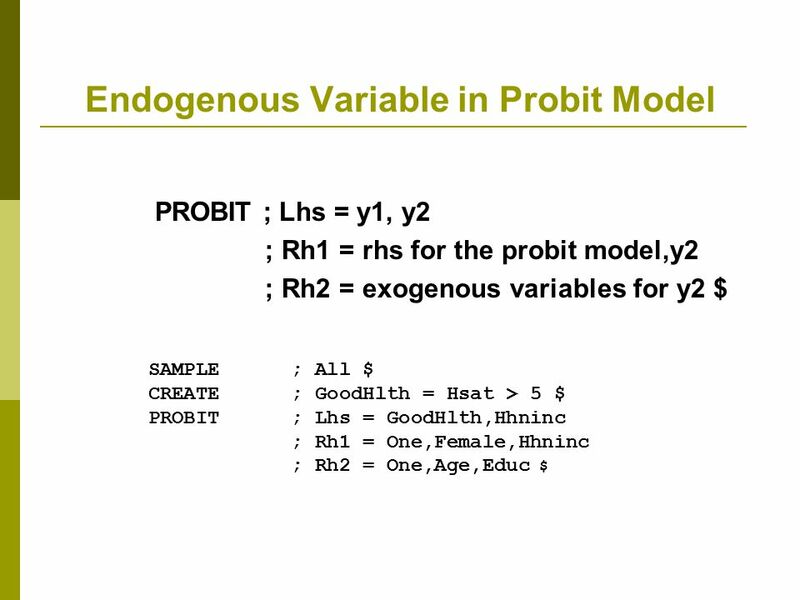 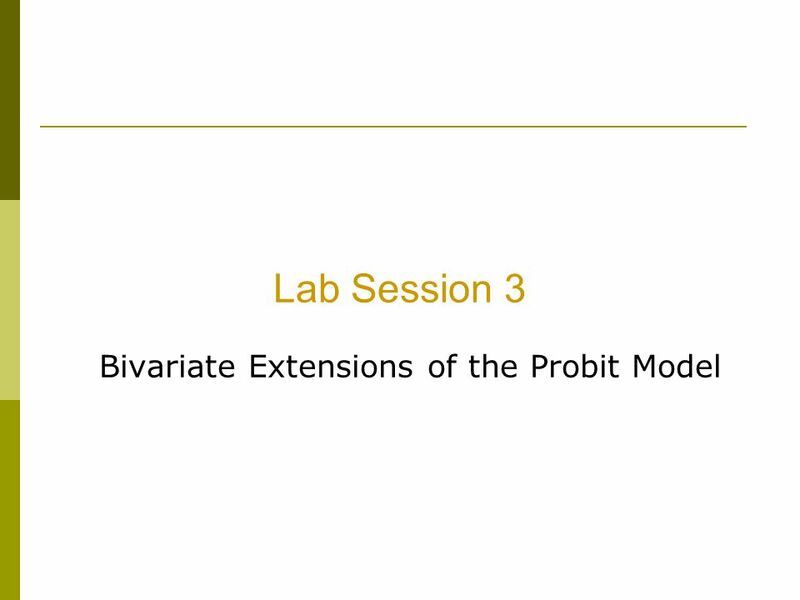 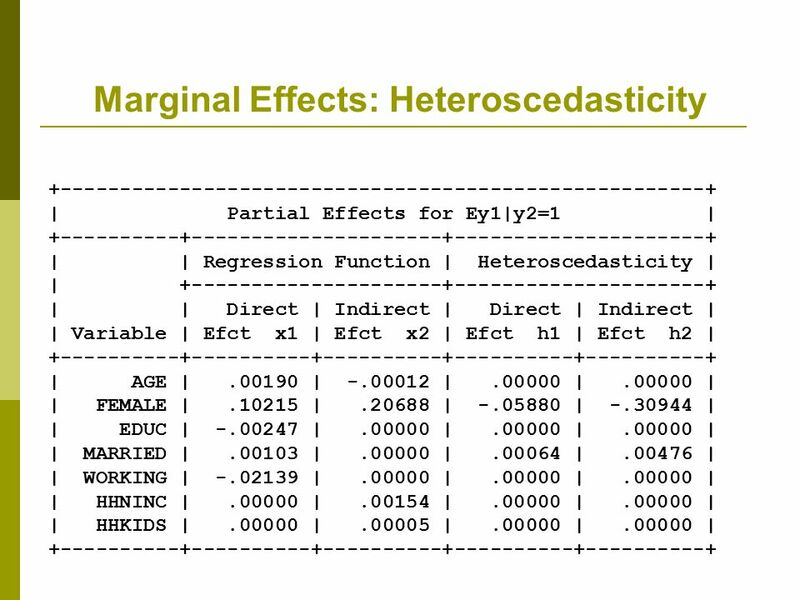 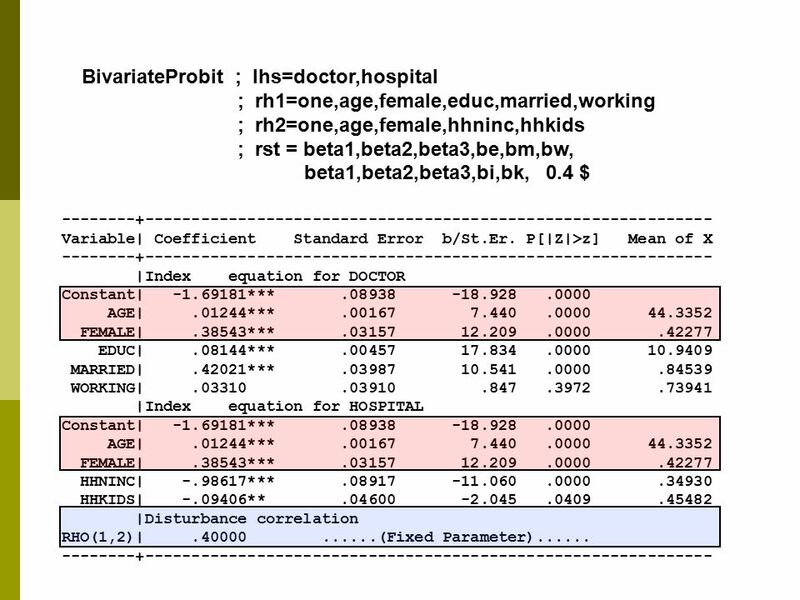 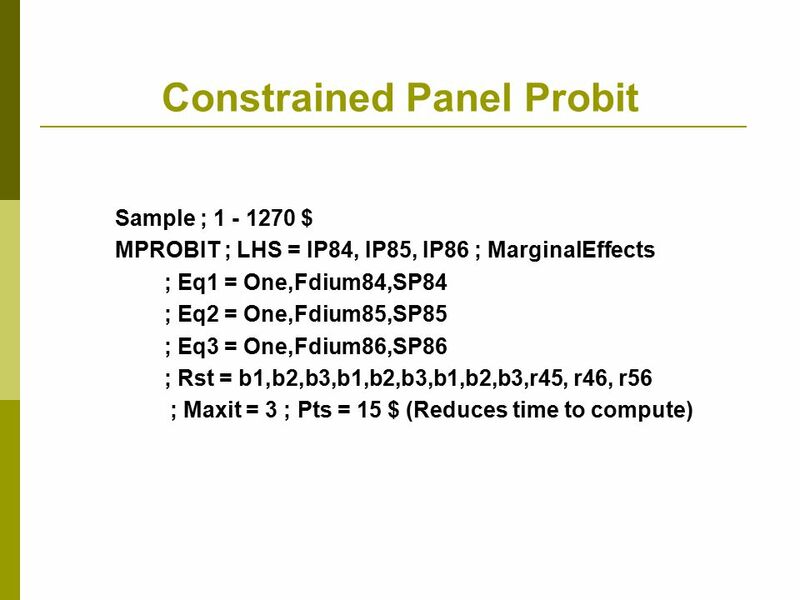 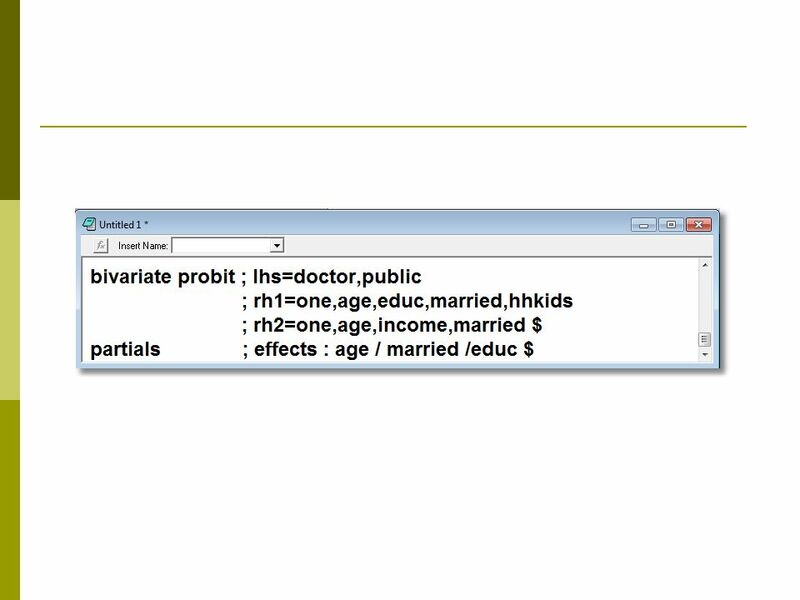 Sign and magnitude are ambiguous Vastly more complicated for the bivariate probit case. 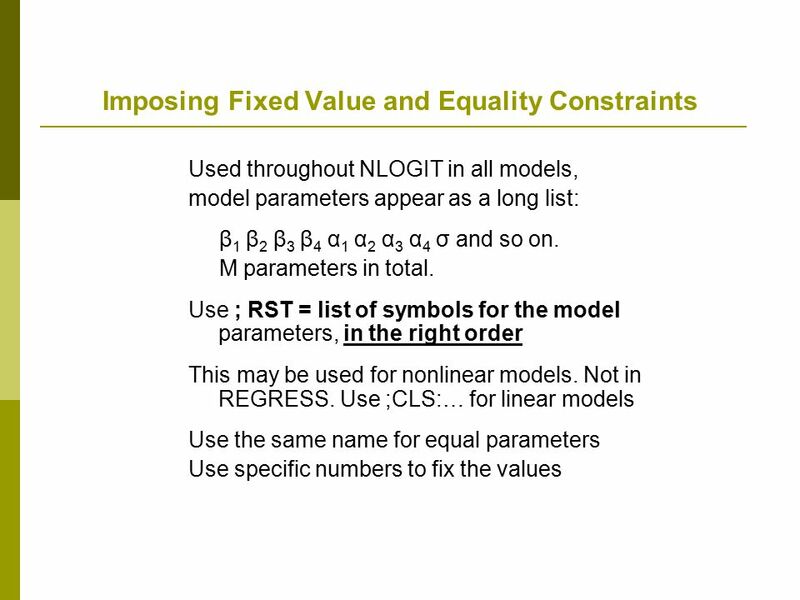 NLOGIT handles it internally. 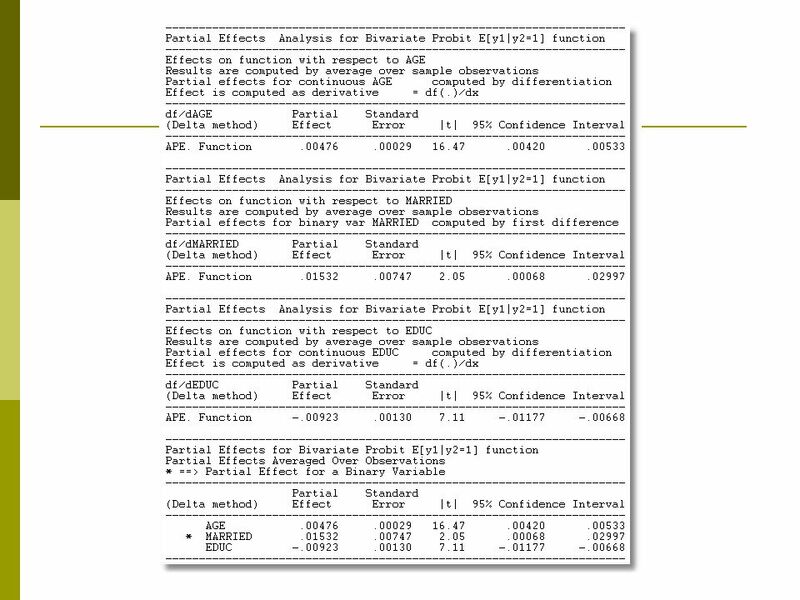 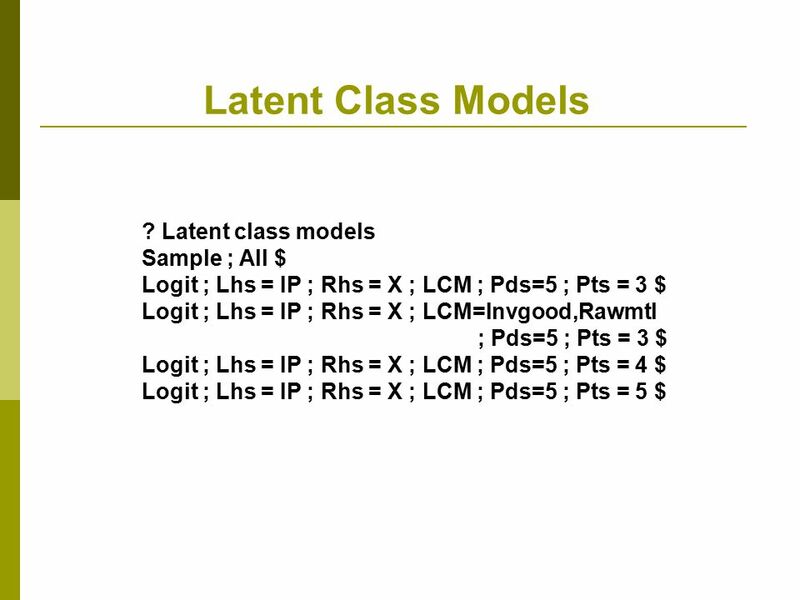 Download ppt "Discrete Choice Modeling"
9. 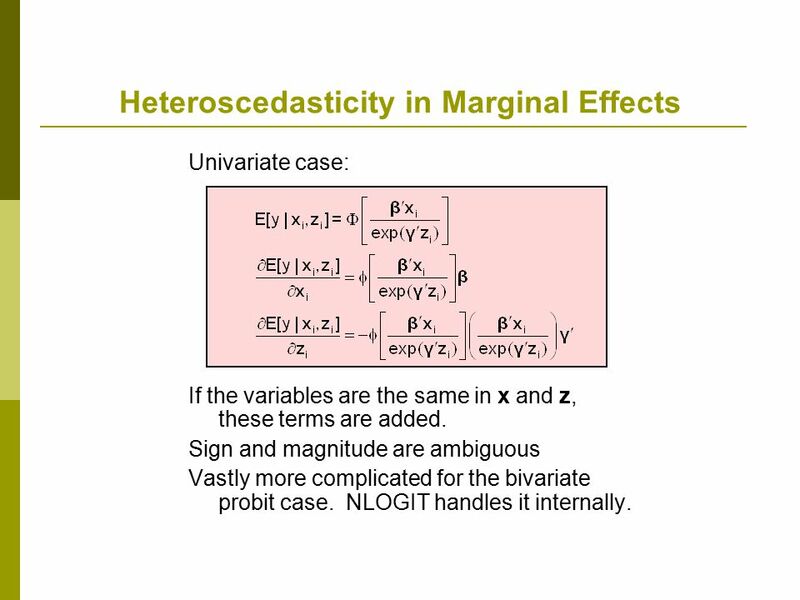 Heterogeneity: Mixed Models. 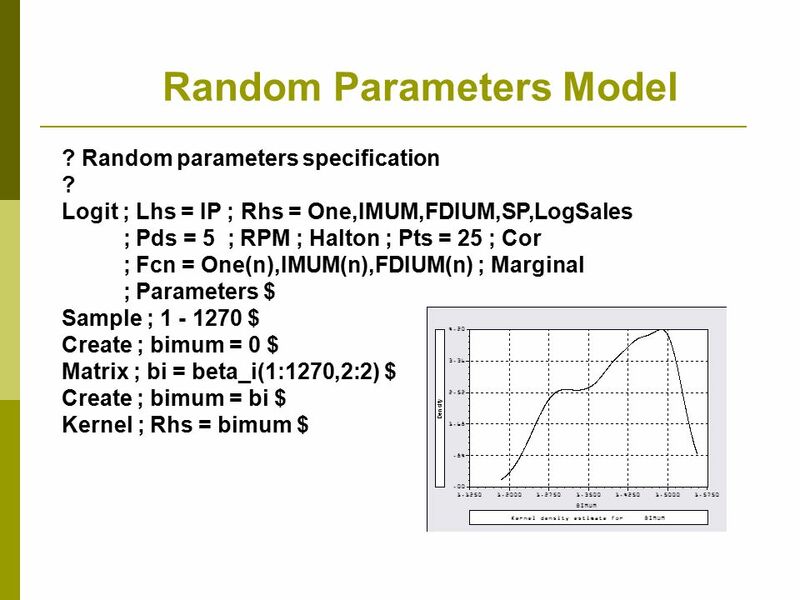 RANDOM PARAMETER MODELS. 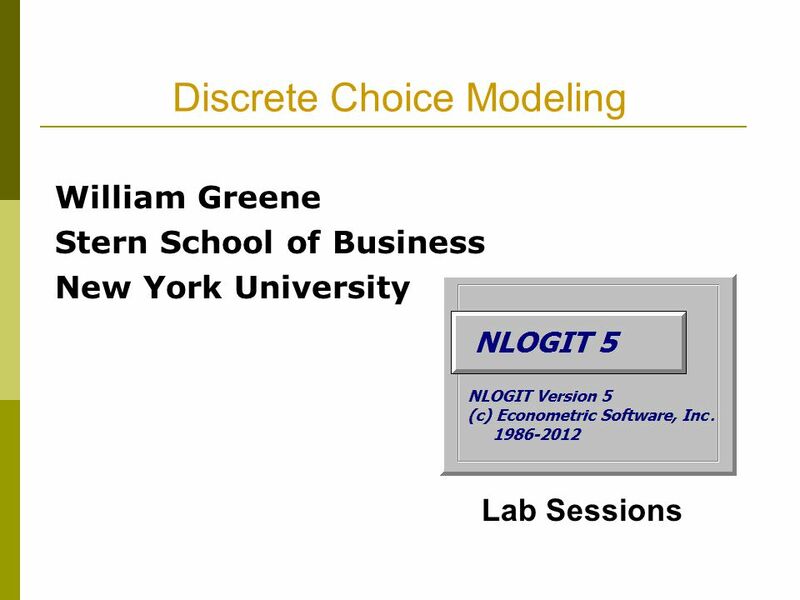 Discrete Choice Modeling William Greene Stern School of Business New York University Lab Sessions. 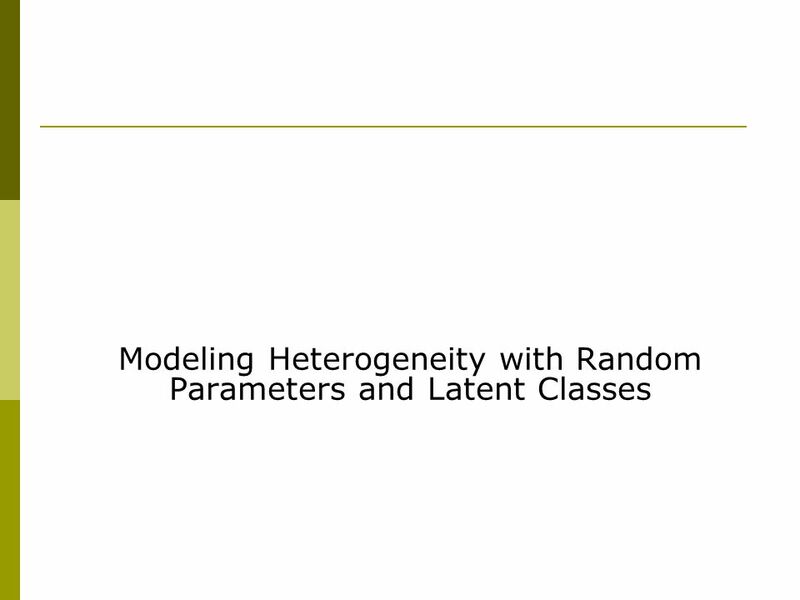 Empirical Methods for Microeconomic Applications University of Lugano, Switzerland May 27-31, 2013 William Greene Department of Economics Stern School. 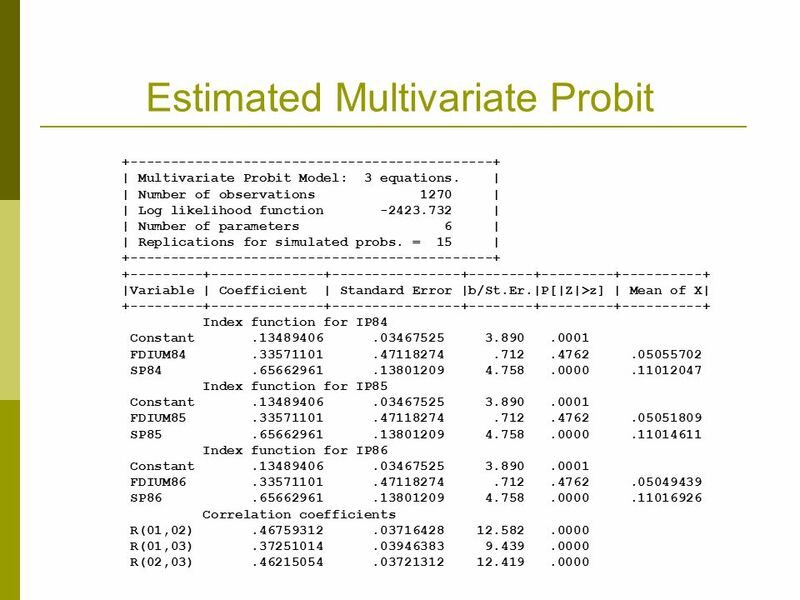 Discrete Choice Modeling William Greene Stern School of Business New York University. 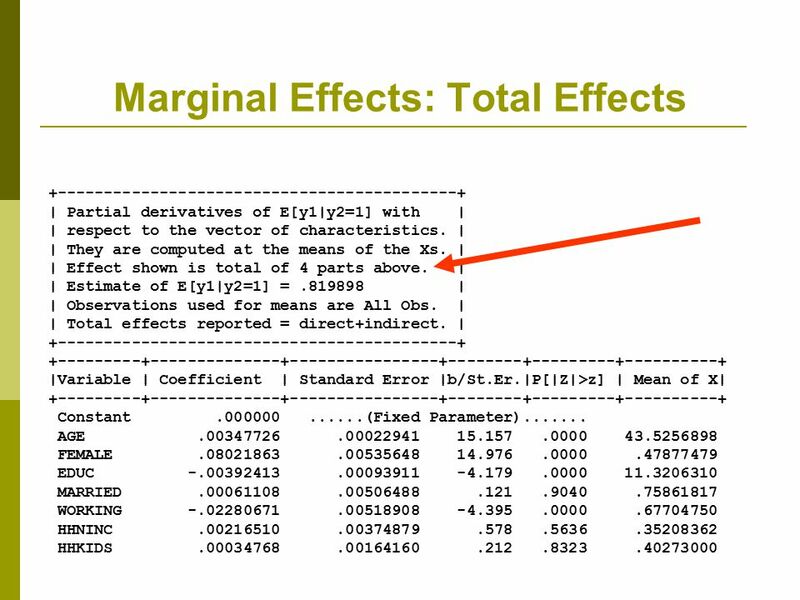 Part 17: Nonlinear Regression 17-1/26 Econometrics I Professor William Greene Stern School of Business Department of Economics. 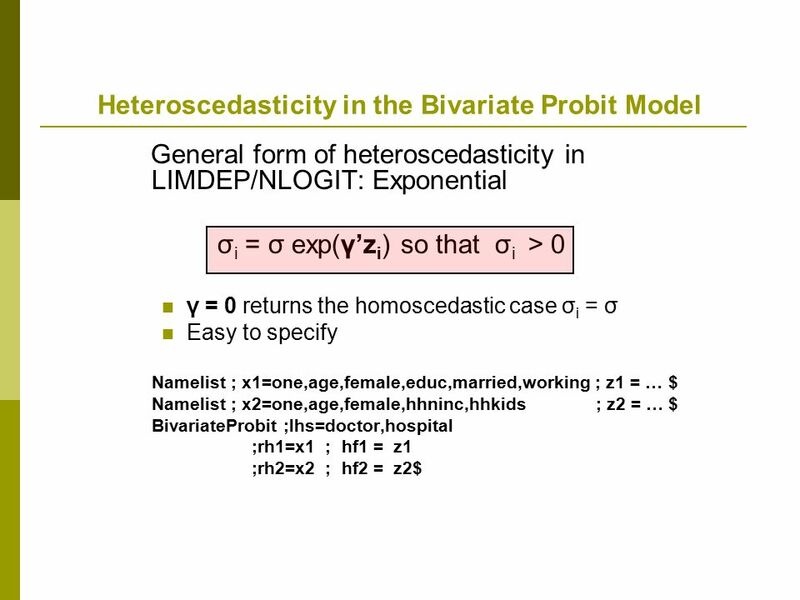 [Part 1] 1/15 Discrete Choice Modeling Econometric Methodology Discrete Choice Modeling William Greene Stern School of Business New York University 0Introduction. 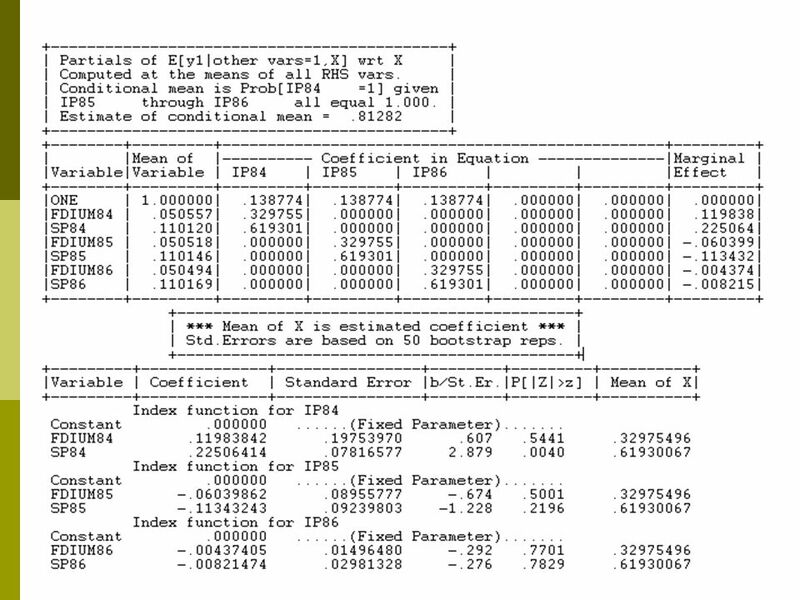 Empirical Methods for Microeconomic Applications William Greene Department of Economics Stern School of Business. 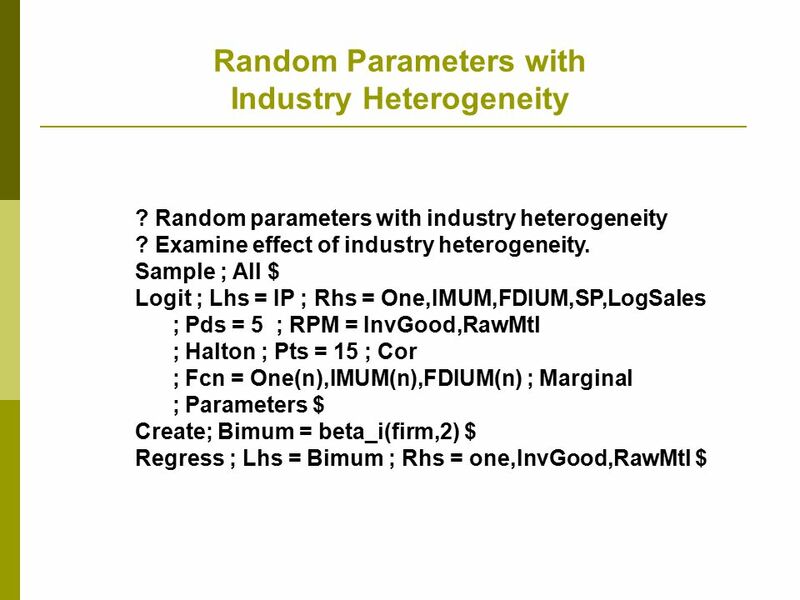 Part 12: Random Parameters [ 1/46] Econometric Analysis of Panel Data William Greene Department of Economics Stern School of Business.